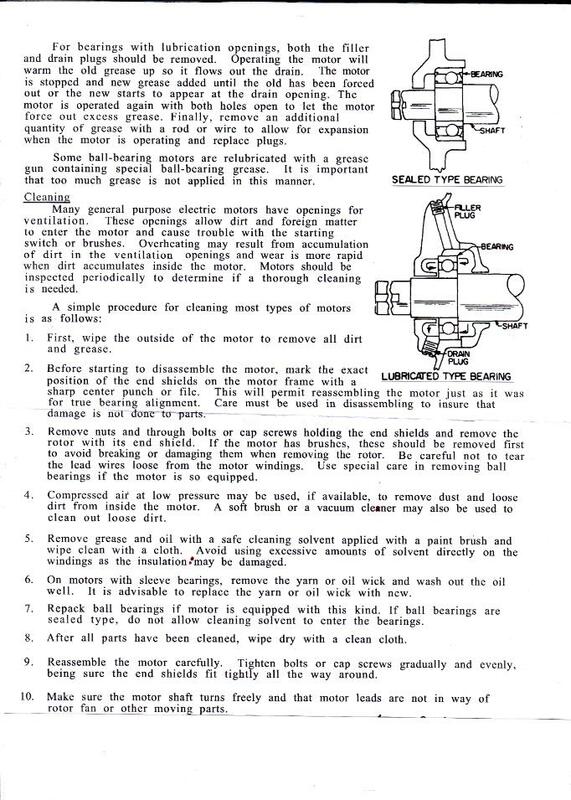 To help with the maintenance of the motors that power our machines I have found this information. I used this to inspect and maintain the Metropolitan Vickers beast that powers my Walker Turner bench saw. Or used to as the saw has been sold. I take no responsibility if anyone is stupid enough to electrocute themselves after reading this. And that includes myself. 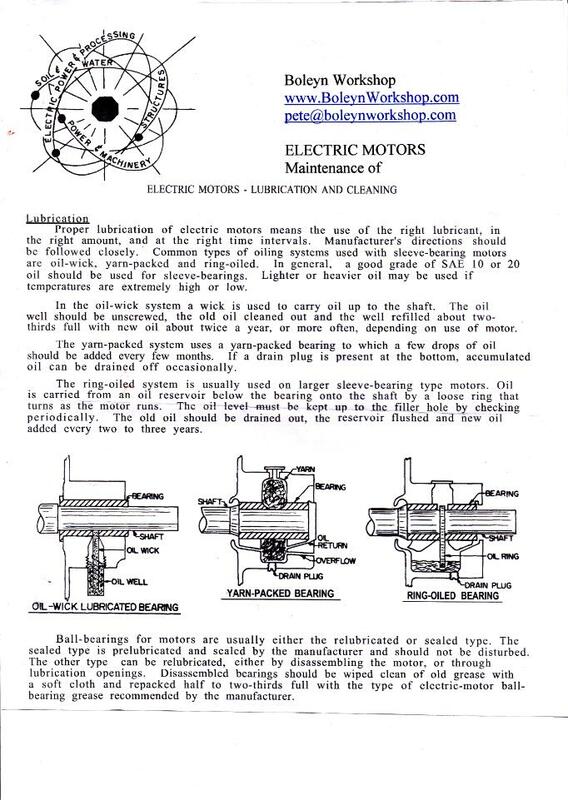 There's probably no or little need to maintain a modern motor these days. Now stand back and get someone else to turn it on. Why else do you think I employ AC?